German F1 driver Sebastian Vettel shares how he thinks Michael Schumacher feels about the achievements that his son, Mick Schumacher, acquired in his early professional car racing career. Despite Michael missing the event, Vettel tells fans that the 50-year-old is proud of his son. Vettel and Mick represented Team Germany at the Race of Champions Nations’ Cup 2019 in Mexico City on Sunday. Even though they only placed second after Team Nordic, Vettel still counted it a success and how it was even more special that he shared it with the new generation of Schumacher. “Mick and I can be proud of what we did today. It would have been great to go home with the trophy but it’s never easy to get all the way through the Race Of Champions, and we did well. ... Most of all it’s obviously very special to have teamed up with Mick today. I remember my first Race Of Champions appearance and looking up to Michael. ... I’m sure he would be proud of his son,” Vettel said after the Sunday racing event. Sebastian Vettel is a veteran in racing for the ROC Nations’ Cup to represent Team Germany. He teamed up with Michael Schumacher and won first place consecutively from 2007 to 2012. Fans have not seen the retired Schumacher in public since the unfortunate skiing accident in December 2013 that caused him severe head injuries. Michael is still undergoing treatments in their Swiss family home, meanwhile, his son Mick Schumacher is paving his own path of success in the professional car racing scene. The year 2018 was a special one for the younger Schumacher. Before ultimately winning the FIA F3 European Championship title, he earned his maiden F3 victory at the Spa-Francorchamps circuit in July 2018. Back in 1992, Michael also had his very first F1 triumph at the same venue. Just recently, it has also been confirmed that Mick officially signed up for the Ferrari Driver Academy as he is expected to have his F2 debut this year. 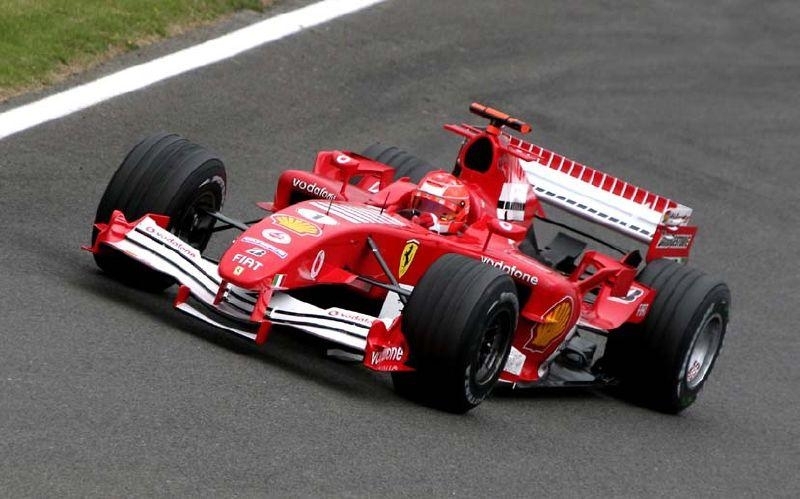 Michael won the F1 World Championship title for five consecutive years (2000-2004) while driving for Team Scuderia Ferrari.